.. . … … .. .. . …. . . . … .. ….. .
reasoning will help. Fanfares are permanently disturbing the cup. to the peoples. 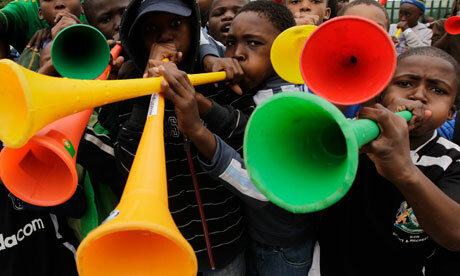 Vuvuzelas kill! new apartheid must be stopped! 38317 has developed the perfect tool and instrument against the pest. Save your home XXL – Download the 45 min. Vuvuzela-EX (R) mp3 NOW! will eliminate the hum of bees damn straight! Gleichschaltung. And the games can go on. @livevuvuzela. three 90 minute drone epics a day watched by billions. and if billions are watching there’s sure to be some arseholes who can’t take it (one of them is called patrice evra, 29, from manchester). elsewhere i attempt to juggle abstract world cup blogging. Sway also has a new mixtape – its going for free. 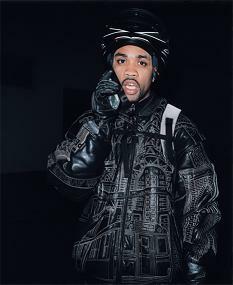 He does a vocal on Bashy’s ‘Black Boys‘ beat which has been all over radio since last summer. Sway shouts out a whole host of Ghanaians who have done things in the UK… including Tony Yeboah (I was at Selhurst Park that day…whoosh). The mixtape also has a clip from Semtex’s 1xtra show where US Sway spits out the dummy over seniority and brand enclosures. But language is public property and Sway supports the right to ramble (“there are plenty of Johns around, plenty of Tonys, a lot of Barrys”). here. elsewhere attention should be called to this 2//part interview with the bug and this selection of remixes/reworks/tributes of/to Gyorgy Ligeti [via gusset]. oh and you know Iraq rinsed occupying power Australia in the Asian (football) cup last week. satisfying.